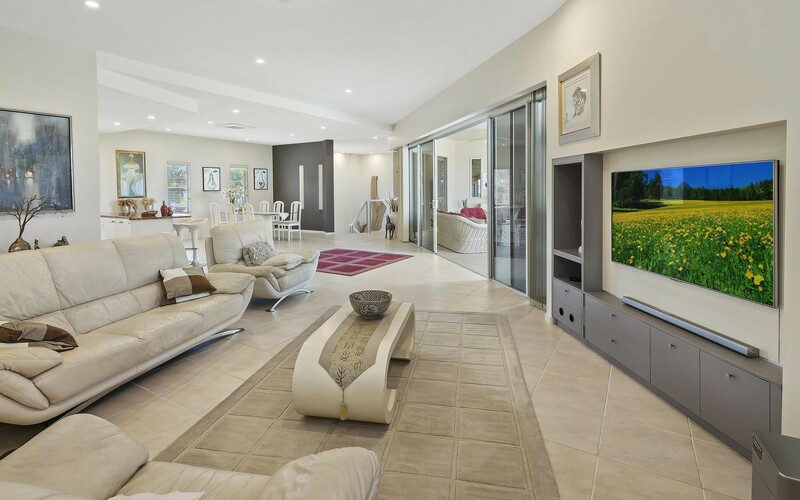 Showcasing a timeless quality throughout, this beautiful elevated home epitomizes low-maintenance luxury on an elevated 524sqm allotment. 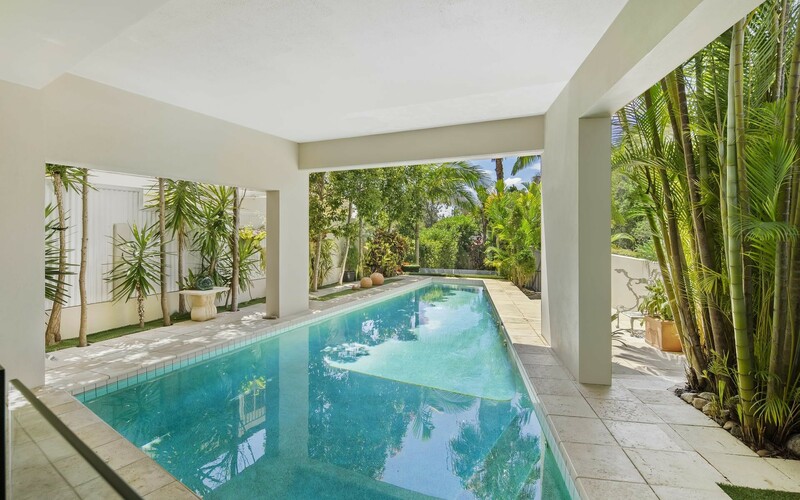 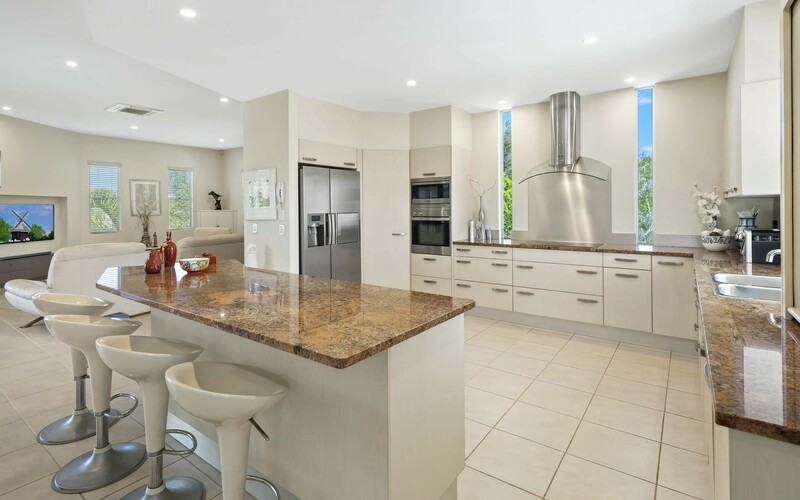 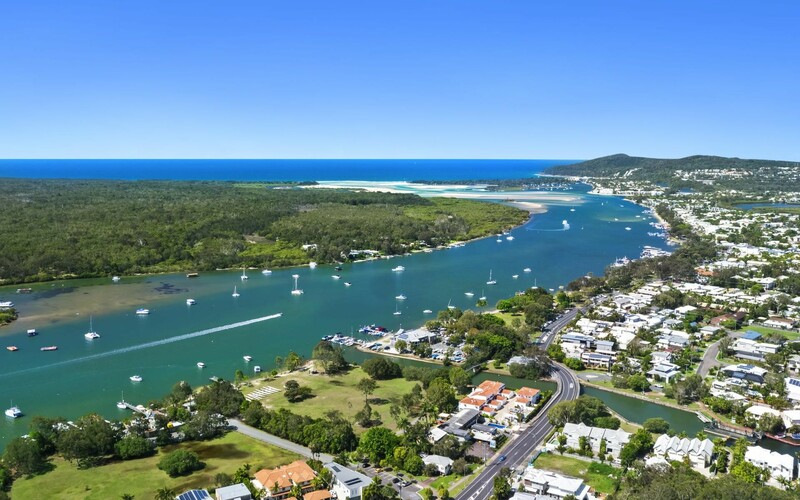 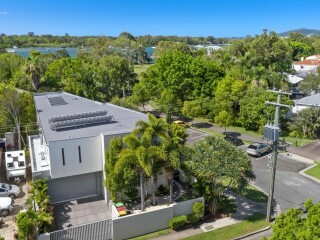 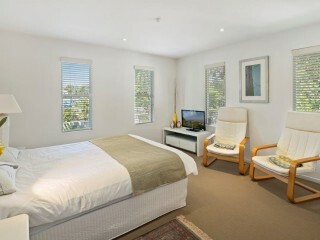 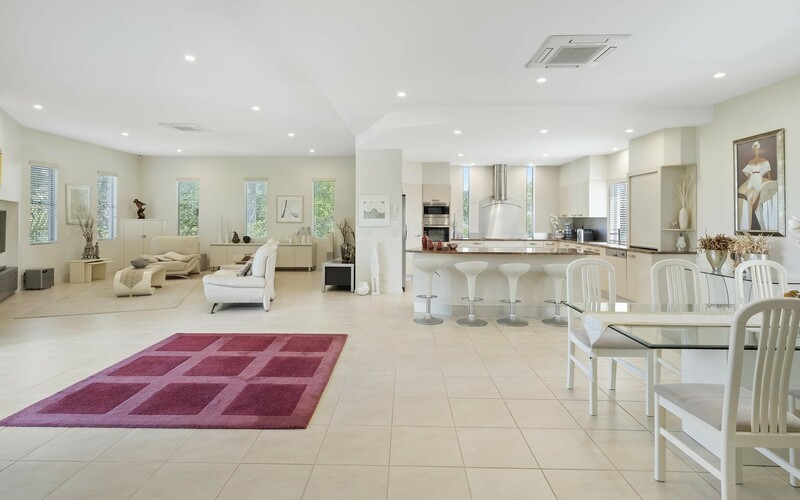 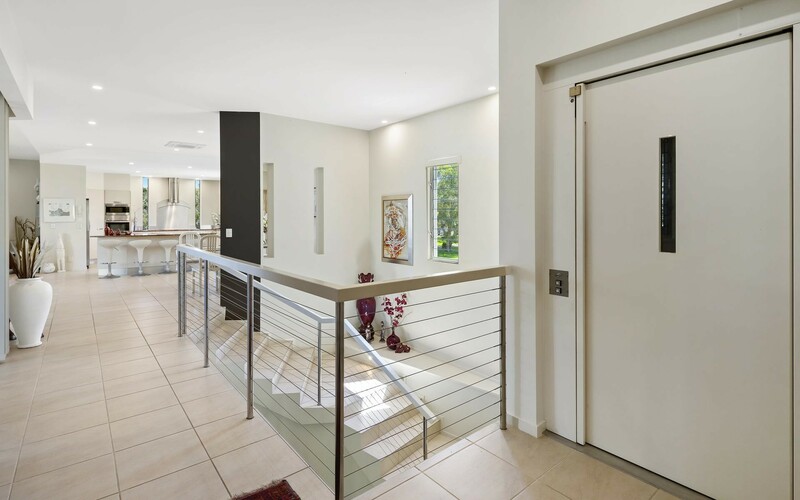 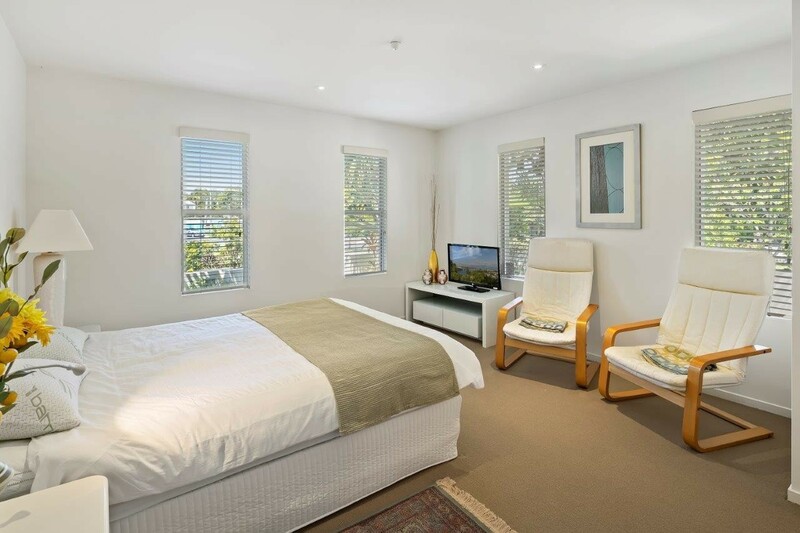 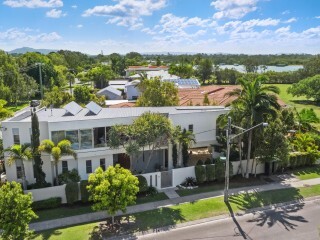 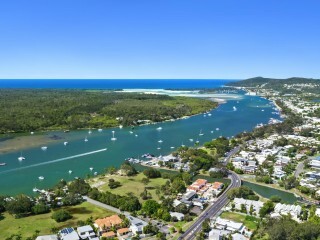 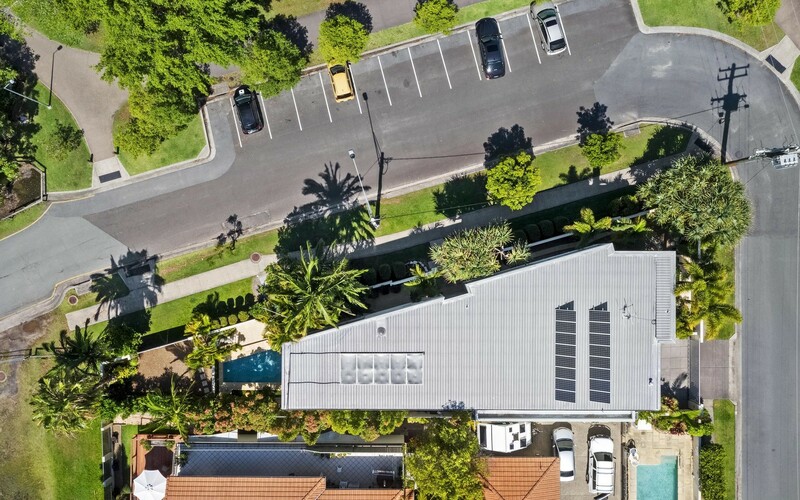 Establish your Noosa base in one of Noosaville's most sought-after streets, 5 minutes walk to the Noosa River, Gympie Terrace shops, eateries and parklands nearby. 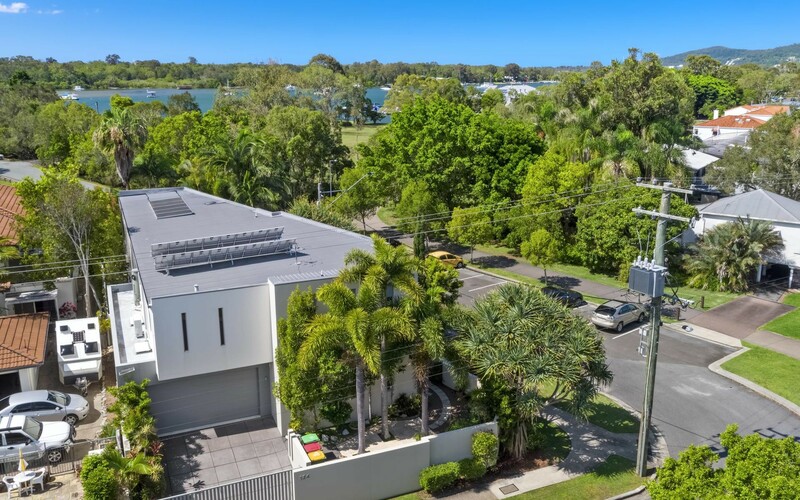 Positioned due North, the residence boasts solid construction, river glimpses, master and living on one level and an internal elevator completing a downsizing or part-time owners dream. 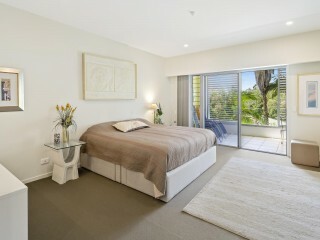 Maximizing the corner position, 124 Hilton Terrace has been well designed to evoke a sense of seclusion and privacy. 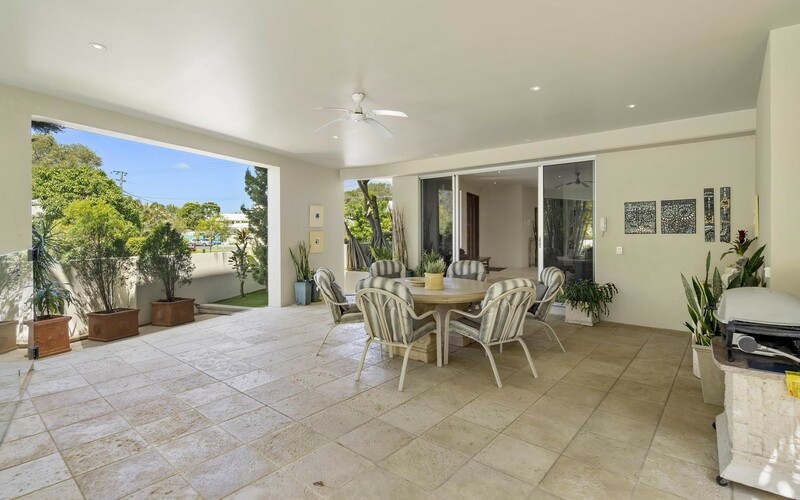 With high ceilings and glass doors extending the sense of space throughout, it is easy to entertain and the undercover alfresco patio is the perfect poolside escape complete with an outdoor kitchen. 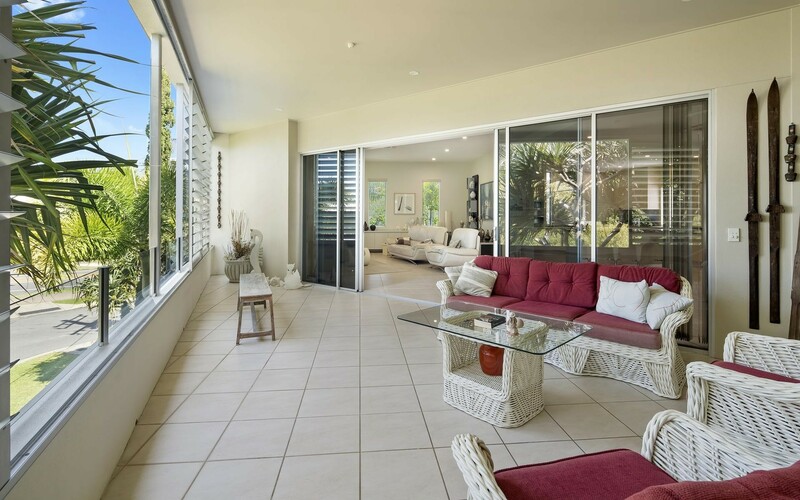 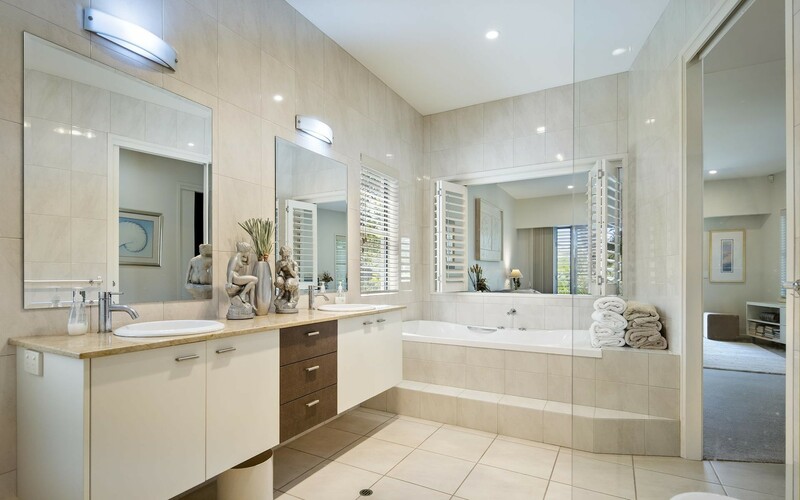 Floors are tiled throughout and the neutral colour palette provides an excellent interior styling foundation with plantation shutters ensuring privacy for outdoor areas on the upper level. 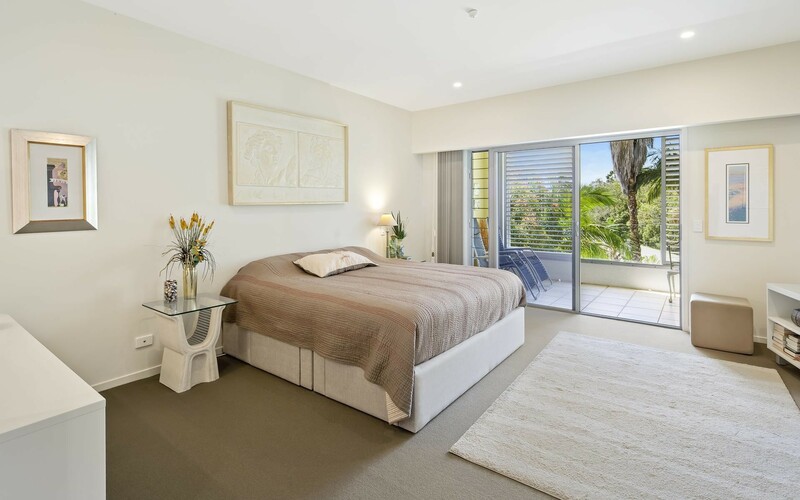 There is great separation for the master suite positioned on the second level and no shortage of storage in the double garage, separate laundry, linen cupboards and rear access to the yard. 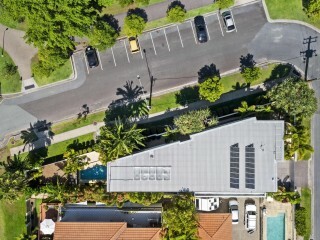 Established gardens are supported by an automatic water system and Solar Panels ensure electricity usage is low. 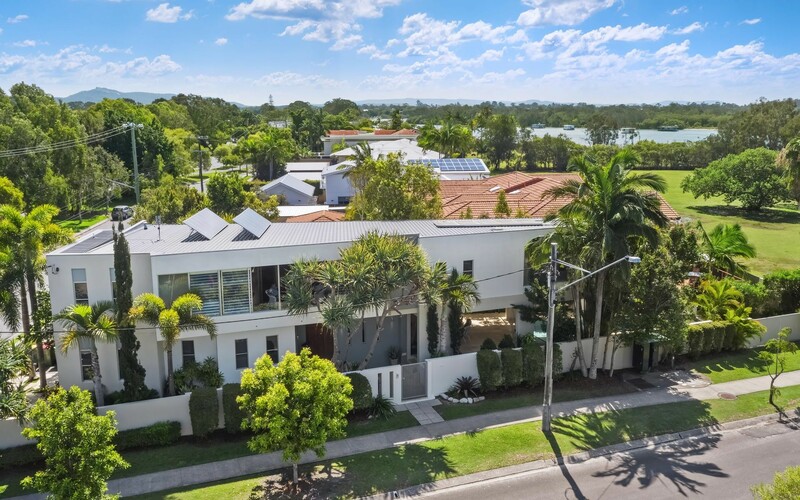 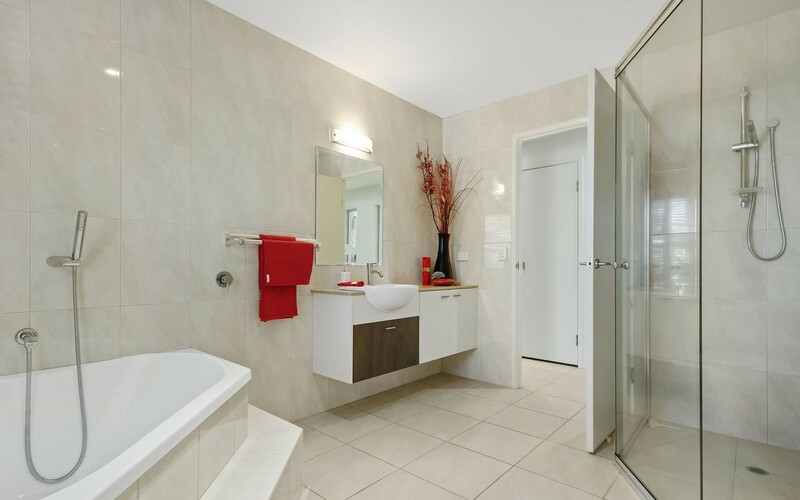 Few locations offer a sense of separation from the busy hub of Gympie Terrace while remaining walking distance to all the lifestyle advantages the precinct has to offer. 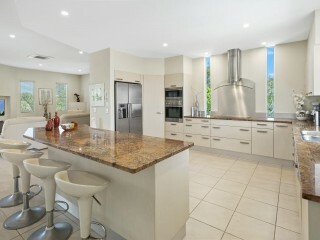 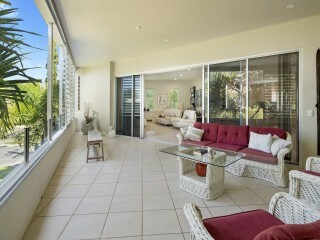 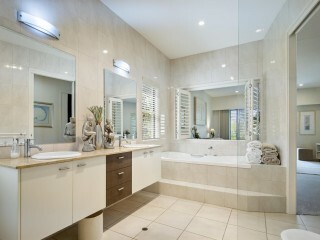 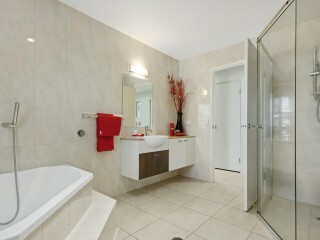 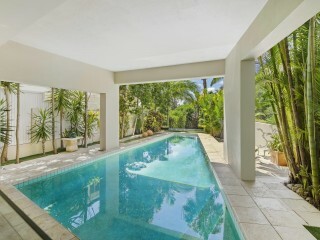 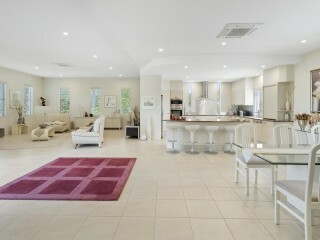 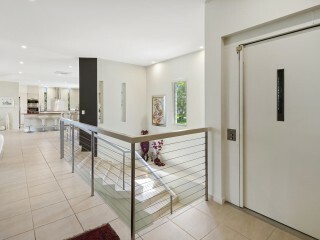 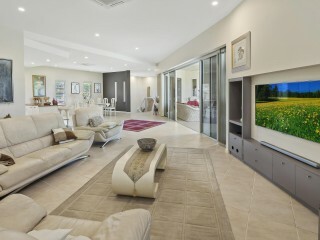 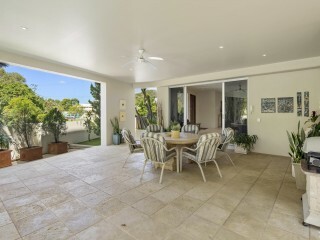 This is the first time this prestige home has been offered to market, offers can be considered prior to Auction.